Feedback busting body design, deluxe appointments, and advanced electronics make this one a great value for the stage. 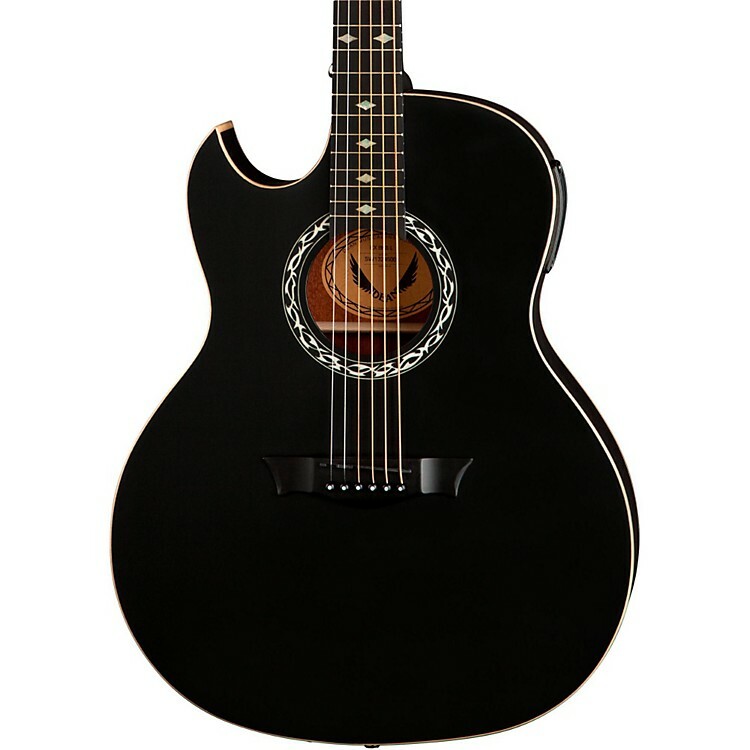 The Dean Exhibition Flame Maple Left-Handed Acoustic-Electric Guitar is designed to be a perfect companion onstage. Made with flame maple, the thin body of the Exhibition adds comfort while helping to reduce feedback when plugged in. The slim D-shaped profile of the set mahogany neck is extremely comfortable for electric guitarists and features a 25-1/4" scale. Appointments include a smooth ebony fingerboard, pearl diamond inlays, black NuBone nut and saddle, Grover tuners, and DMT electronics. Add brilliant acoustic tones to your set with this great combination of style and design. Order today.